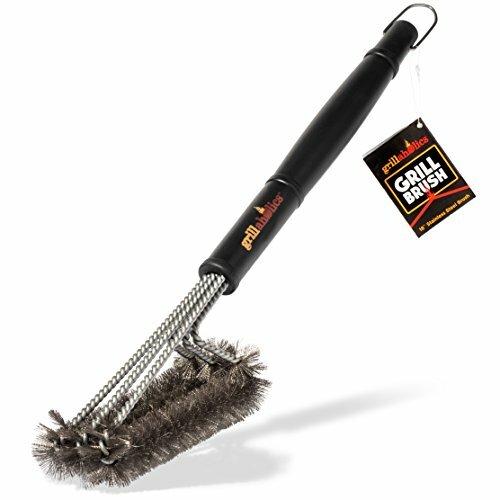 A grill brush is an essential tool to have handy when cleaning grates and other interior areas of your grill. Many people resort to turning the grill heat to high in an attempt to burn off excess food or debris from the grates. This does work to some degree, but you need a grill brush to fine tune your grate cleaning. There will inevitably be some debris lingering around even after a long dose of high heat. Okay, we have established the need for a grill brush. But speaking from experience, quality does matter. Not all grill brushes are built the same. We recommend spending a few extra dollars to buy one of the best grill brushes so that you do not have deal with bristle falling out, handles cracking, material melting, and so on. 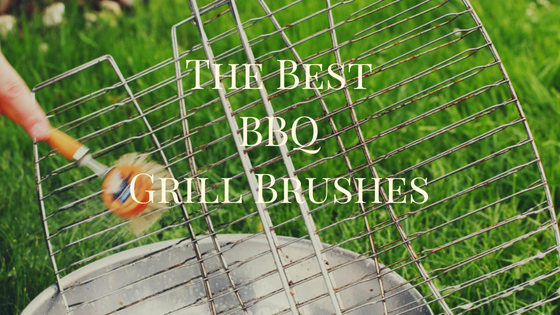 We have put together the below list of the best grill brushes to help you find a quality brush that is designed to last. Any of the brushes featured below will make an excellent addition to your grill tool arsenal. This Kona grill brush provides a very unique feature in that it lacks bristles. Instead, it is made from a hard-wired stainless steel that effectively cleans without damaging your grill. The problem with a poorly constructed grill brush with bristles is that the bristles tend to fall off with use. 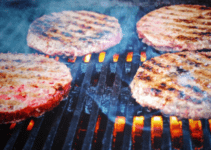 If the person grilling is not paying attention, a loose bristle can end up in the food being cooked. Having actually experienced biting into a bristle in a hamburg, I can tell it is obviously not a pleasant experience. This Kona grill brush eliminates the worry of bristles popping up in your food. The durable 18 inch handle is a nice length for the griller to comfortably control the brush while allowing ample distance from the hot flames. This brush is designed with three 6 inch brushes allowing it to cover a lot of cleaning space at once. The Kona grill brush can be used on any grill. The manufacturer recommends to frequently dip the brush in water to steam clean the grates. 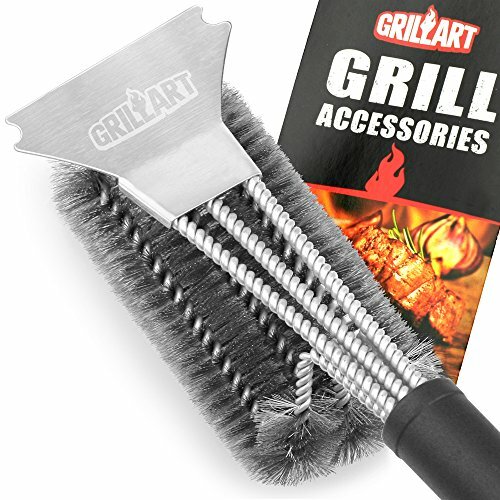 The Grillart BBQ grill brush is 18 inches long and features 3-in-1 bristles to efficiently clean your grill. The manufacturer indicates that this brush cleans 5 times faster than a traditional brush due to its three brush design. The long non-slip handle helps the user keep a nice grip and also adds a nice level of comfort while cleaning. We especially like how this brush is equipped with a durable scraper which is built strong enough to last for countless grilling sessions to come. The Grillart grill brush is surprisingly affordable considering its top-notch construction. We recommend checking out the Amazon.com reviews to see what others have to say about its quality and durability. This grill brush is a solid choice if you are looking for a durable traditional style brush. It is 15 inches in total length making it easy to handle while keeping the user’s hands safely away from the flame. 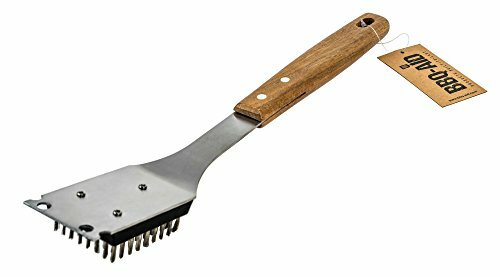 The BBQ-Aid grill brush comes with a stylish wooden handle, which provides a classy look and adds support. The heavy duty scraper offers an additional method for cleaning the grates that works great on difficult to clean spots. 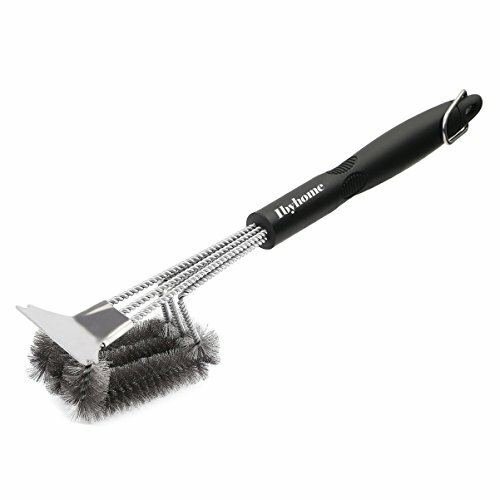 While this brush is made from a simple design, it will do a very efficient job at cleaning any type of grill. This grill brush was invented by a fireman so you know it was designed with great care to ensure the brush is able to withstand the flames. The lifetime warranty speaks to the quality of this grill brush. The brush is 18 inches long and contains 4 stainless steel galvanized iron bristles. It will have no problem quickly cleaning the necessary sections of your grill because of its huge bristle area. 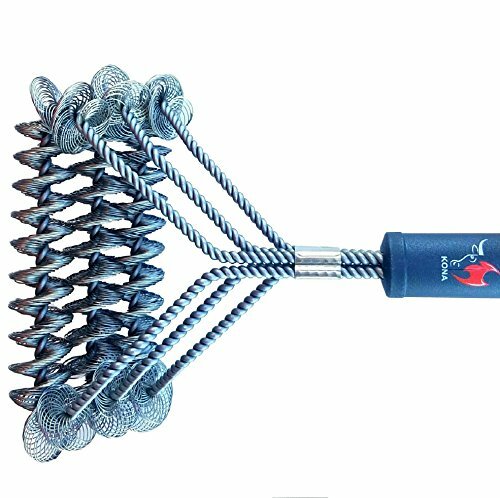 The stainless steel galvanized iron construction of the bristles sets this grill brush apart from other lesser quality bristles on other brushed. At the end of the brush, opposite the bristles, there is a large hook to allow for easy hanging for storage. This is our pick for the best grill brush in terms of value. The lifetime warranty and quality of this brush for its price is tough to beat. The handle is what stands out with this brush. It is made from a high quality plastic with well placed grips to allow for excellent handling. The handle is 10 inches providing ample length for safety and comfort. This durable grill brush comes equipped with the common 3-in-1 bristles. It also has a high quality scraper for tough to clean areas. Here is yet another solid choice for a quality grill brush. Okay, this is not officially a grill brush. It does, however, serve the same function in many respects. 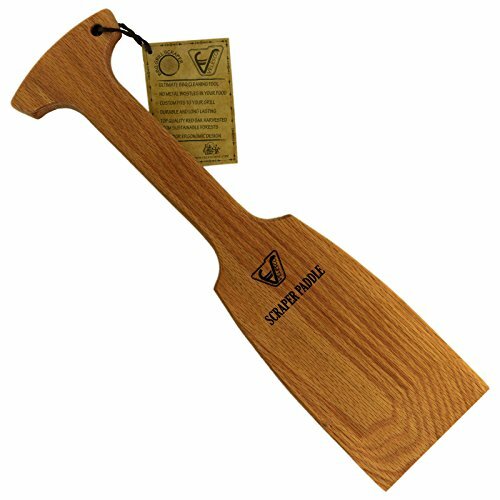 This scrapper paddle is made from American red oak wood. You scrap the grill with the paddle and it forms grooves based on your particular grates. Over time, this tool will become more effective as the grooves establish and are able to clean on the top and sides of the grates. If you have multiple grills, this wood scraper may not be ideal for you. 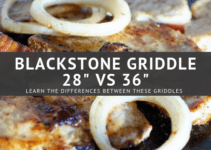 Since the grooves are formed by the grates, this scrapper might not work well on another grill. A huge reason to use this scraper over a bristle brush is to avoid the bristles falling off and into the food. Of course, this wood scraper lacks bristles because it is made out of 100% red oak. There is no need to worry about possibly swallowing dangerous bristle fragments. Here is another solid choice for a grill brush. You receive a nice sized brush head with this model to speed up your cleaning time. The extra long plastic handle allows the griller to obtain a grip with one hand or two using various grip positions. The long overall length of this grill brush helps deter burns from the flames. 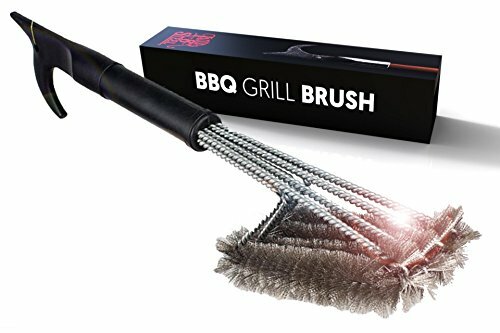 Overall, the Grillaholics grill brush is a highly rated and heavy duty tool that will be a huge upgrade if you are used to using a traditional average grill brush. Can you put a grill brush in the dishwasher? You have to be sure the grill brush is dishwasher safe. Check with the manufacturer to see if your brush can be put in the dishwasher. Can I use a grill brush on porcelain? Many grill brushes are designed to work on all types of grills including porcelain. Grill brush manufacturers typically make it clear regarding the types of grills that their grill brush will work on. Be sure to confirm that a grill brush is compatible with your grill before purchasing. What other grill tools do I need other than a grill brush? We recommend purchasing tongs and spatula at minimum. 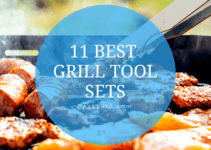 These tools will be essential for cooking most grill foods. You can then add more tools as you need them. However, we think it is a good idea to buy a quality grill tool set which will give you a variety of tools (i.e. spatula, tongs, grill brush) in one package at a typically better price than buying them individually. When do I use a grill brush? You will use the grill brush when there is debris on the grill grates or in surrounding areas. The common procedure is to heat the grill on high heat for about 10 minutes. This will burn off any food stuck on the grates. You then want to scrape off any large chunks of debris if your brush is equipped with a scrapper. Finally, use the brush to thoroughly clean the grates. Grill brush manufacturers often recommend to frequently dip your grill brush into water while cleaning for better results. Will I need to replace my grill brush? We have had cheaply made grill brushes last only a few grilling sessions before they started shedding bristles. You should inspect your brush before each use to verify it is still in working order. It pays to buy one of the best grill brushes instead of settling for a sub-par tool. Most of the best grill brushes are relatively inexpensive and you likely won’t have to replace them very often compared to cheaper brushes. When should I replace a grill brush? The bristles are typically the first to go. If you notice the bristles shedding or you are able to easily pluck them from the brush, it is time to start looking for a new brush. Additionally, a loose handle, melted parts, or other damage can be a good indicator that it is time to start researching a replacement. People getting injured from unknowingly ingesting bristles is a real thing and likely more common than you might think. Check out this video news story for a couple of examples of the damage stray bristles can cause. Total Length: You should take into consideration the length of the grill brush before buying. A grill brush that is too short, say the length of a kitchen utensil, will put your hand in jeopardy of getting injured from the grill flames. A brush too long will be difficult to operate for some. Brushes between about 15″ to 19″ seem to be in the sweet spot of not too long or too short. Handle Length: We recommend getting a grill brush that has a handle large enough to accommodate both of your hands. This will allow you to use both hands to put a bit of muscle into your grill cleaning. Material: The material of a brush is is vitally important to its overall ability to last. Look for brushes made from a quality stainless steel or brass. There are wood grill scrapers as shown above. We like wood scrapers made from red oak. Bristle Strength/Durability: This is often difficult to tell when buying online. We recommended scanning reviews to see what others have to say about the longevity of the bristles. A grill brush losing bristles is usually a big complaint among people who are unsatisfied with their grill brush purchase. There is a good chance that reviews will indicate if a grill brush quickly sheds bristles. Weight: You do not want to be bogged down the weight of your grill brush. After all, cleaning a grill can be a laborious activity. Most people prefer a lightweight brush that is made from quality material. Hanging Options: If you plan on hanging up your brush after use, you are going to need your brush equipped with a ring to allow your brush to hang. Check the photo of the grill brush you intend to purchase to be sure it allows for the option to hang up your brush. We love brushes that have metal D-rings attached, which allow for easy storage. Below is an informative video showing how to clean a grill with a grill brush. The brush used in the video is the Alpha Grillers BBQ Grill Brush, which is another quality choice for a brush. Keep in mind this is a general grill brush cleaning tutorial. Some manufacturers may recommend cleaning your grates a bit differently, especially with the wooden style scrapers. Weber is known for making some of the best grills on the market. Naturally, they should be experts at cleaning their products too. The below video provides an excellent look at how to thoroughly clean a grill on the inside and outside. It is smart to periodically clean your grill as shown in the video to ensure fresh and sanitary grilling. Once you get the hang of cleaning your grill after one or two times, it becomes a relatively quick process going forward. Using a grill brush will help keep your food tasting fresh by removing left over food and debris inside the grill. We believe it is important to use one of the best grill brushes out there so that you do not have to worry about bristles falling off shortly after your purchase or the brush not holding up over time. Even if you have to pay a bit more for a quality grill brush, it is still a relatively inexpensive purchase considering you likely won’t have to keep buying a new brush every season or two. Good luck finding your new grill brush and happy grilling!